…to the official Strömkarlen Homepage! For more details and files please check the German or Swedish version. Have fun! 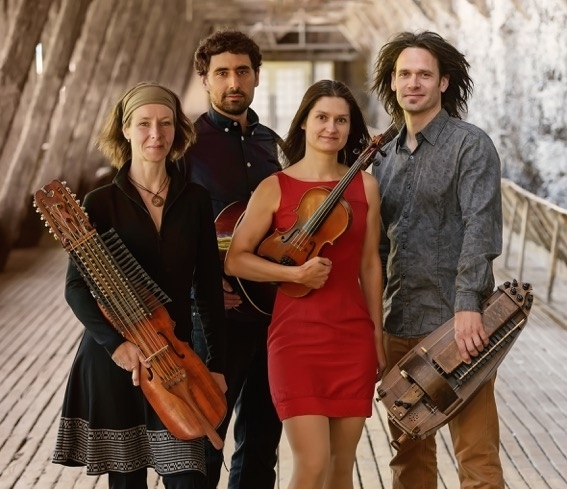 Named after a Swedish water spirit, the band Strömkarlen has stood for Nordic folkmusic for more than 12 years, with a variety of musical influences and multi-layered arrangements that emphasize atmospheric solo and harmonic vocals. Often somber and mystical or plangent and melancholic, sometimes with a driving rhythm, the music of Christina Lutter, Caterina Other, Daniel Nikolas Wirtz and Guido Richarts inevitably “enchants the listener and holds him captive until the very last note has faded away.“ (A.Goriup). 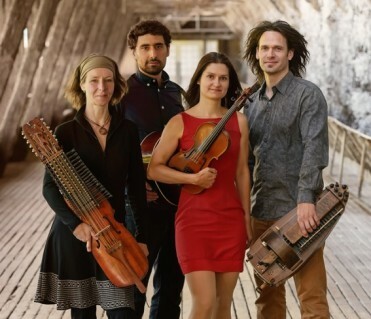 In addition to fiddle, guitar, double bass and piano, special instruments such as the bodhrán and tin whistle from Ireland, cister, hurdy-gurdy and the Swedish nyckelharpa are used to create soundscapes somewhere between ancient music traditions and modern arrangements. Since the release of their 5th album "Edda Sånger" in 2015, which has been enthusiastically celebrated by the press, the musicians have continued working with those ancient Icelandic verses about the gods and heroes of the north, which also reflect the roots of our own culture, and had inspired earlier artists like Wagner, Tolkien and others. The compositions combine elements as diverse as old folk and dance music, folk of Scandinavian and Celtic influences, but also modern rock and pop influences to a unique, atmospheric style, as again will be found on their next album, going to be released in autumn 2018.